Everyone wants to get into the newest in-thing on the internet right now – cloud computing. And you can include Google among those who want in on this hottest trend. 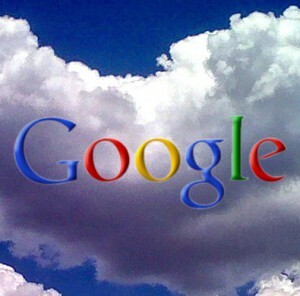 Google is expected to launch a new cloud storage service call Google Drive. According to a report published on the Wall Street Journal, Google Drive will compete head to head with other established cloud storage services like DropBox, SugarSync and Box. Google plans to undercut the popularity of these services by offering subscription pricing that is below the subscriptions being offered by these other services. Google Drive will likely offer the same features as DropBox and other services. For example, it will have dedicated apps that can be installed on your desktop PC and on your mobile devices. All kinds of files can be uploaded to the user’s account – text documents, music files, and videos – from any device that is connected to the internet. Google Drive will also likely offer a file sharing feature, although this feature will likely enter that gray area that has lead file sharing services like Megaupload to shut down. Google already offers additional cloud storage for a fee for its existing services like Gmail, Picasa and Google Docs. Currently, Google offers 20GB of additional storage for $5 a year, and 80GB for $20 a year. The Company will likely offer a subscription tier similar to what it is offering right now. The pricing may be the factor that will allow Google Drive to succeed. Google can offer significantly more affordable offerings because it already has well connected server infrastructure in place. DropBox, currently the most popular cloud storage service, pays Amazon to lease server space, which adds to its total cost. Google won’t have to pay anyone a usage fee and will only have to augment server operations. Expect Google Drive to be released in a few months.